Some of the greatest rivers of the world flow through Bangladesh. These rivers form what is perhaps the most complete system of inland water navigation to be found anywhere. Few places in the world do boat operations in inland water play a more prominent role than in Bangladesh. The way of life for the 120 million people who live in Bangladesh is to a large extent governed by inland water. For several months every year between one third to half of the land is submerged under water. Millions of people take to the boats and the life of Bangladesh becomes a floating world. It is estimated that there exist more than 700,000 boats in the country in the country employing several million people. In the past nothing in the fabric of the boats depended on anything that could not be made by carpenter, blacksmith and the village weaver. The country boats were truly and genuinely made in Bangladesh. Since the mid 1980's a technological revolution gas taken place in the country boat sector. Several hundred thousand country boats have been fitted with small engines. The beautiful sailing boats and the life around them will soon be remnants of the past. 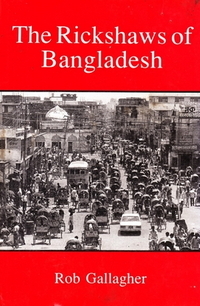 This book aims to convey the atmosphere of the diverse unspoiled shipping in the inland water transport of Bangladesh. The book will therefore contribute to preserve the rich cultural heritage the traditional country boats represent in Bangladesh.